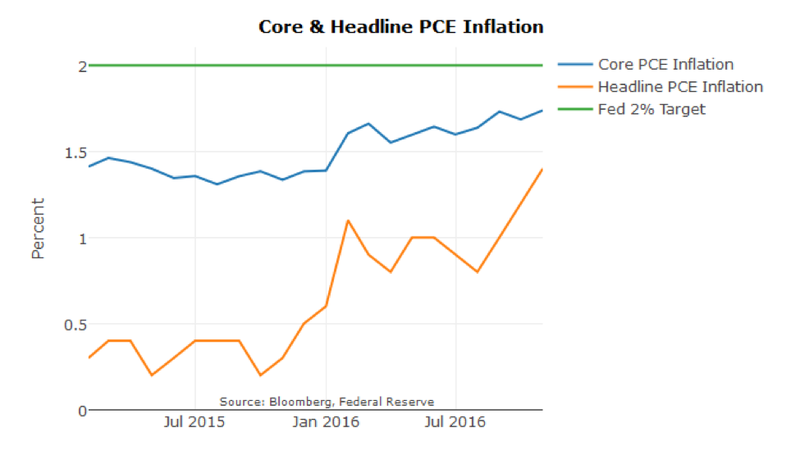 The Fed and the Economy – What’s Next? Navigating the low-return environment has been one of the top concerns for fixed income investors throughout 2016. Consider the fact that 35% of the global treasury market (as of this writing) is trading at negative nominal yields, which begs the question: Why are interest rates so low? The common assumption is that the Federal Reserve and other central banks are keeping rates low, or that the cause is the 2008 financial crisis. In our view, however, this thinking is not entirely accurate. In fact, low interest rates are not a recent phenomenon. Real 10-year yields in the U.S. have been declining since the 1980s. 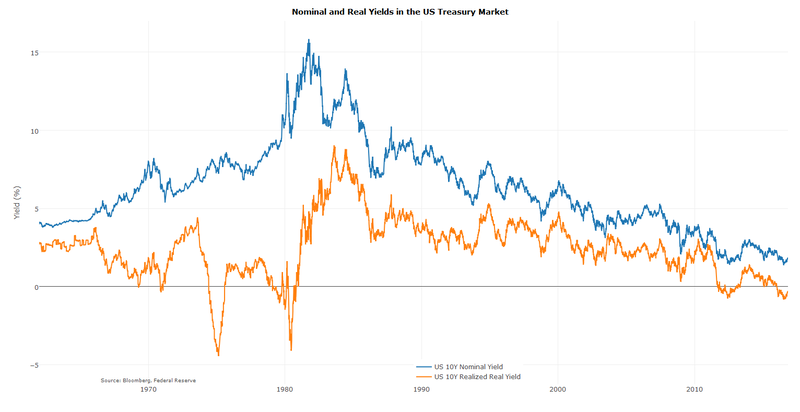 Nominal 10-year yields were low in the 1960s, peaked at 15% in 1981, and have been falling ever since. With an interest rate hike at the December 13-14 FOMC meeting seen as a foregone conclusion, we have to ask: What is the upper limit of the Fed’s potential to raise rates, given the long-term trend? How effective is Fed policy likely to be in the future? These are important questions because low long-term rates could very well mean that equities and other “risky” assets will remain overvalued, while fixed income investors struggle to meet target returns. To address our Fed questions, we start with the understanding that the Fed cannot create growth; it can only affect money supply and nominal rates. The Fed is unable to solve economic changes or even influence real rates. Therefore, tracking the state of the economy is what ultimately determines long-term real returns. At Astor, we track economic trends using our proprietary Astor Economic Index®, and incorporate economic data into our portfolio allocation decisions. Second, the long-term trend in real rates has rendered Fed policy tools such as the “Taylor Rule” ineffective. (Named for Stanford University economist John Taylor, the Taylor Rule was used previously to predict interest rates based on inflation, GDP, or other economic factors.) The Taylor Rule assumes a constant neutral or equilibrium Fed Funds rate, whereas both the FOMC and the markets agree that the neutral rate is much lower. In March 2015, Fed Chair Janet Yellen admitted to a non-constant neutral rate policy, and others including Fed Vice Chairman Stanley Fischer and former Fed Chair Ben Bernanke also have spoken at length about it. 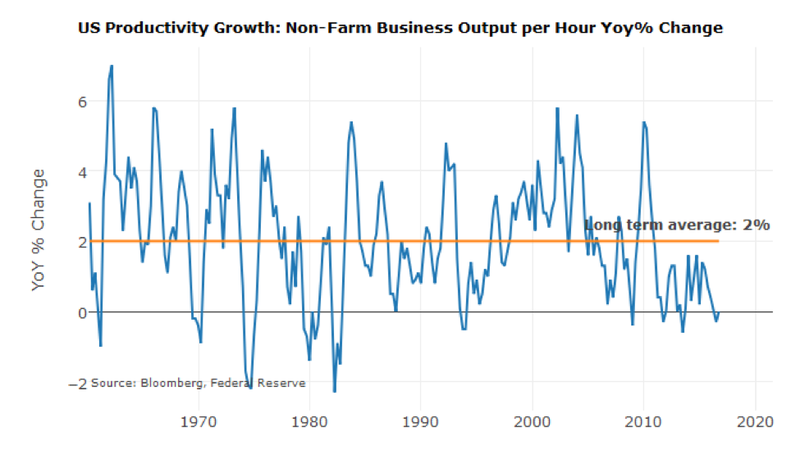 Productivity – Growth in productivity has been disappointing, averaging only 0.5% in the last seven years, compared to economists’ forecasts of more than 2%. Payrolls and Growth — Even though payrolls have showed a lot of improvement—this has not translated into faster economic growth, which, in our view, can only mean that the U.S. growth potential has been lowered as well. Inflation — Wages have remained stagnant, and inflation hasn’t gone up, despite the growth in payrolls. The only likely explanation, as we see it, is that the relationship between wage and payroll growth has changed because inflation expectations are much lower. 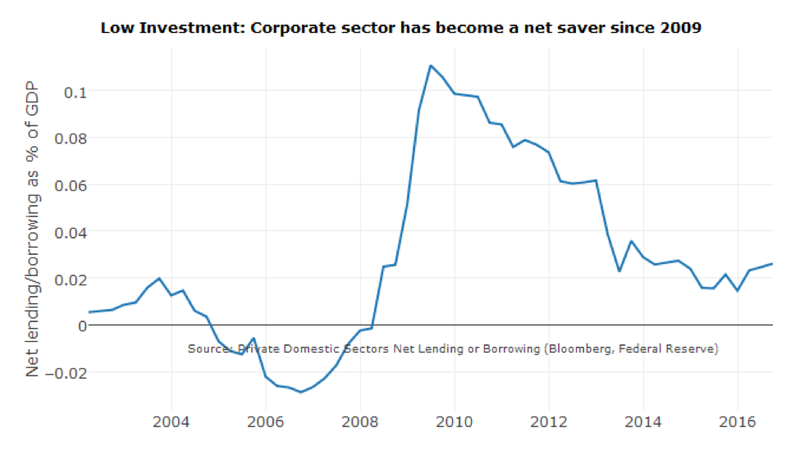 Structural factors – Factors such as a high savings rates, shifting demographics, and low capital spending and investment also have lowered the real interest rate. Taking all these factors into consideration, our conclusion is that, without improvement, it’s questionable how effective Fed policy can be in the future—and possibly during the next recession, whenever that occurs—because the Fed cannot change the real economy. In addition, after its quantitative easing (QE), the Fed holds more than $4.2 trillion in assets, mainly Treasury bonds and mortgage securities. This raises another question—will the Fed become an active seller moving forward, and how will that further impact fixed income securities? As we consider what the Fed will do moving forward, these questions will remain on our radar. ← Is This Really a “Trump” Rally?